On Christmas Day, 2017, my wife Ann and I, began our annual one-week holiday visit to sunny, lovable and culturally abundant – Los Angeles, CA and environs. Landing at the Burbank Airport, it was only a fifteen minute drive to the home of our hosts, family relatives. They reside in the community of Glendale, which is near Griffith Park, the Gene Autry Museum and the LA Zoo. You can expect to see some residents of Glendale, in this area, out riding their horses. Many have their own stables in the rear of their homes. The temperature was in the mid-70s range for most of my time in California. You can’t ask for anything better then that, especially when I knew that Baltimore (in mourning over the Raven’s last-minute loss to the Bengals) was in a deep freeze. The LA River runs along one side of Glendale. At one time, the river was the main source of water for Los Angeles. Trust me, you’ve also seen many a movie in which this distinctive waterway played a cameo part, usually in an auto chase scene of sorts. Recently, the river, 51 miles long, has been the subject of a long-overdue revitalization process. You can call it “river-friendly landscaping,” if you like. 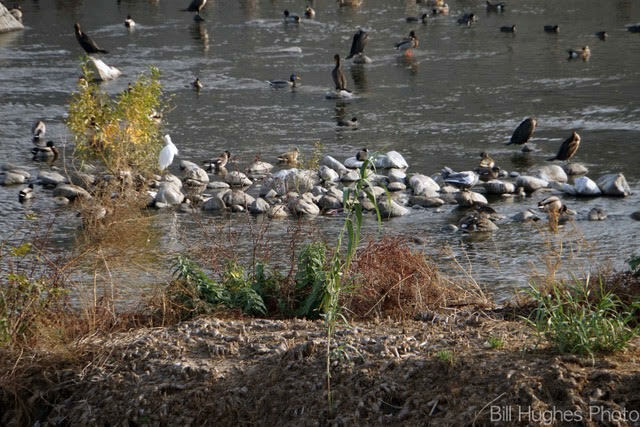 The US Army Corps of Engineers has approved a $1-billion plan to “beautify 11 miles of the river.” Hey, that’s a healthy start on a wonderful project. It’s also sure a better way to spend a Billion US tax dollars, rather than waste it on promoting our endless wars that have only made us more enemies. When I checked out the results around Glendale, I was very impressed by the work that was currently being done. It was clear, too, that the waterfowl were enjoying their new, eco-friendly environment. They were all acting like it was party time. The Autry museum is mainly focused on the history of the American West, although it does tell a short story about Autry’s life and accomplishments. The museum houses over 500,000 pieces of artifacts, art and cultural material. One of its most recent exhibits, “La Raza,” gives voice to the “Chicano Rights Movement.” A visit to the Autry museum is highly recommended. You can’t say you were in LA without taking in the sights and scenes of Hollywood. So, I bought a ticket for a tour of the Warner Brothers Studio. There is so much movie history to be found there. Images of Humphrey Bogart, Bette Davis, Elizabeth Taylor, Audrey Hepburn and Jimmy Dean, five icons of the past, were there, as well as countless others. The backlots, where some of Warner Brothers’ great movies were shot, are still, incredibly, in use today. I thought John Wayne, himself, was going to come riding into town on one of those make-believe lots. Two of my favorites TV shows – one featuring Ellen Degeneres and the other Conan O’Brien – are currently produced at Warner Brothers. 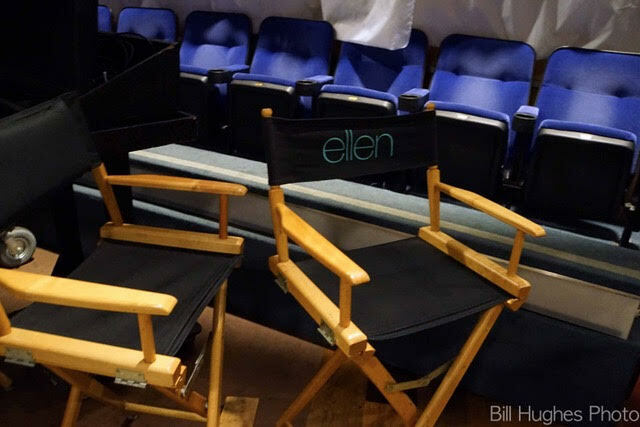 I got a chance to go inside Ellen’s studio. I’ve never seen so many spotlights in one place. The tour guide said it’s because Ellen likes to feature her audience in her very popular program. Like all stars, she has her own chair to sit in when reviewing, with her staff, the “rushes” from her daily show. Ellen is a natural comedian and very likable. Of course, there was more to see there. Images of Harry Potter made appearances, as did portraits and cars from the Batman movies. Warner Brothers produced both of those huge movie hits. It also rents out its facilities to movie-makers from around the U.S. and Canada. You can’t go wrong with touching base with a first-rate Warner Brothers studio tour. Time to shift gears. On one of my fun days in LA, I did a little hiking. It was on a trail that overlooks parts of Malibu and its lovely beaches. Malibu is about 30 miles west of downtown LA. I ended that pleasant experience by driving down the mountain to check out the sand, beaches and surfers, too, of Malibu. While there, I was privileged to witness a memorable sunset. Moving on. You must put the LA County Museum of Art (LACMA) on your visit agenda. It’s a don’t miss attraction. It represents “the largest art museum in the Western world,” and is located on Wilshire Blvd. The LACMA featured twenty major exhibitions on the day that I visited. I chose to focus on “Chagall: Fantasies for the Stage.” Although the Russian-born Marc Chagall (1887-1995) is noted for his art in the modern style, which evolved into surrealism. He also participated in a major way in the theatre. 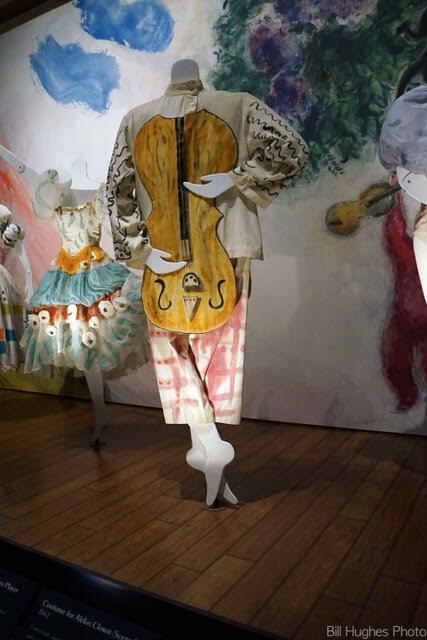 He created “murals and theatrical productions, designed costumes and sets for ballet and opera.” I found Chagall’s creations to be lovely, charming and very colorful. I am pleased to say we have a Chagall print, “Artist as a Phoenix,” hanging in our living room. After Chagall, I checked out some paintings and sculptors in the LACMA by the one, the only – Pablo Picasso. He was beyond dispute one of Spain’s greatest sons. After the LACMA, I walked across the street to get something to eat off a lunch truck. I was surprised to find there – right on the sidewalk – in front of “The Wende Museum,” ten segments of the original Berlin Wall! They were placed there in 2009, to “commemorate the 20th anniversary of the fall of the Berlin Wall.” Bottom line: Expect the unexpected in LA! I couldn’t make it to the “Tournament of Roses Parade” in Pasadena, on January 1, 2018. So, I did the next best thing. I went over on January 2nd. I enjoyed taking some photos of the highly-decorated floats that were showcased in the annual event, now celebrating its 129th year. I left Pasadena on another sunny day, temperature in the low 80s. What a delightful way to finish-up our annual holiday excursion to Los Angeles and environs.